I'm a native of Rhode Island and still a NE Patriots/Celtics/Bruins/Red Sox fan, though I now also love the Redskins, the Caps and the Nationals. I moved into Ashburn in 1994, having lived in the DC area for several years before. Following graduate school, I began a career in international affairs and business, working as an economist for the Organization of American States ("OAS"), and then moving into the international satellite field in a variety of positions ranging from Manager of International Affairs, to Director of Corporate Communications and, finally, Director of International Regulatory Affairs where I was responsible for negotiating landing rights for the organization's global satellite constellation in over 170 countries and territories around the world. I did a great deal of international travel during those years and had some wonderful professional experiences. In 2002, my family decided to move to Jakarta, Indonesia for a job opportunity my husband could not refuse. We had a great adventure in Indonesia (during this time we had the Bali bombing and international bomb threats against the international school my children were attending). Following an exciting year in Indonesia, we moved to Hong Kong for one year, then Ho Chi Minh City, Vietnam for two years and back to Hong Kong for another two years. We met amazing people, traveled to many countries and encountered many fascinating new things. 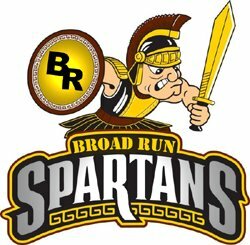 I brought my children home just in time for them to attend Broad Run High School from which my first two have graduated. One has graduated from college and is working in Washington, D.C., one just graduated from UVA but is remaining another year to complete his Masters in Statistics, and my youngest is now a Senior here at Broad Run. All are proud to be Spartans. We love the Broad Run community and I am so excited to be teaching here!